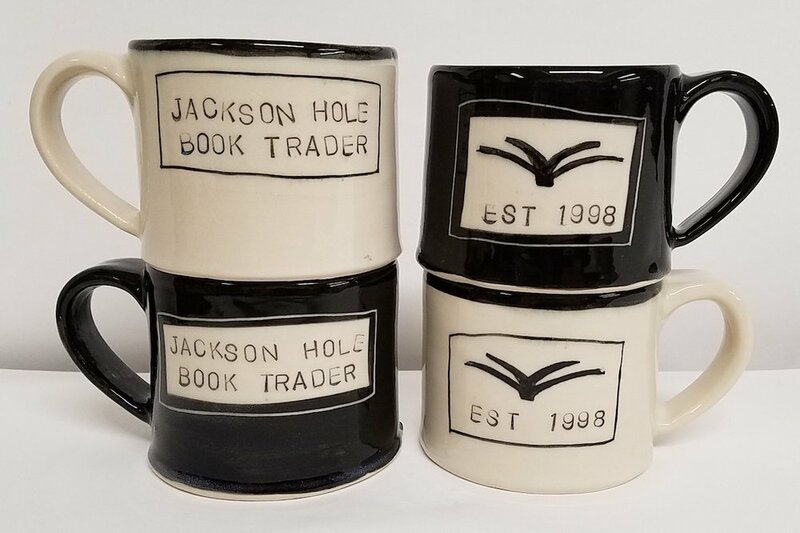 Earlier this year I was commissioned to create mugs to compliment the upcoming redesign of the Jackson Hole Book Trader. A few prototypes resulted in my most custom created mug yet, and it's a good fit- a mug for tea or coffee plus great books- the recipe for a perfect morning (or afternoon or evening)! 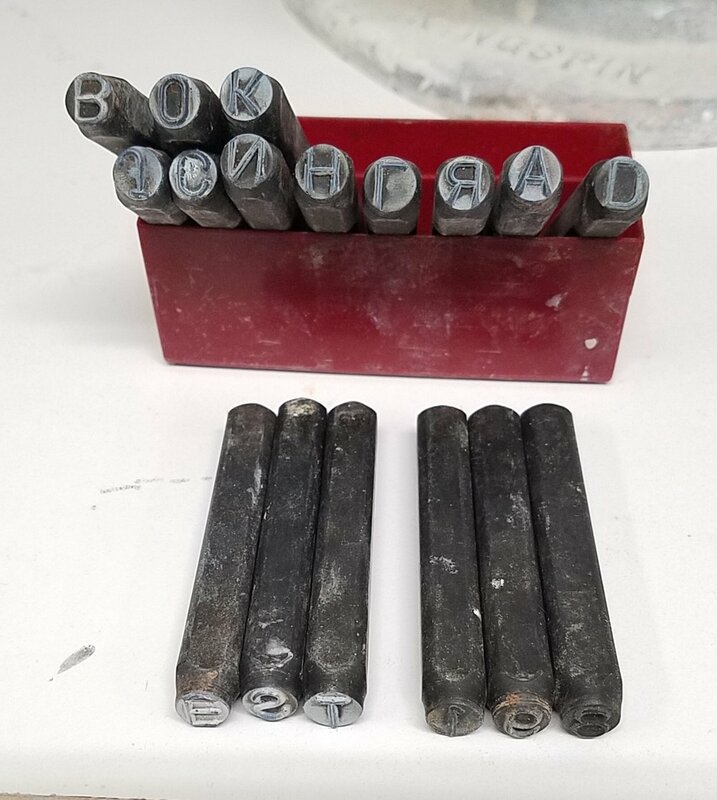 The letters were individually stamped into the damp porcelain. Much as I tried for even rows, the letters are a little wobbly and some impressions are deeper than others- similar to my old typewriter. 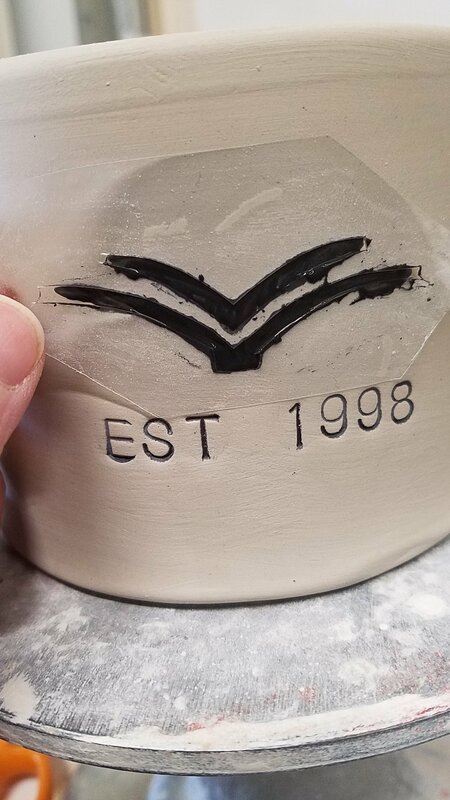 After brushing black underglaze onto the letters and letting it dry a little, I wiped a sponge over the letters to leave each inlaid with black. For the logo I made a simple stencil out of contact paper. This helped quickly transfer most of the open book logo onto the cup. I went back with a small brush to fill in the details and clean up the edges. The logo and text is the same on each mug, yet the black and white surrounding is opposite, resulting in two complimentary designs. It's complicated, but I simplified and streamlined the process as much as possible so I can easily recreate the mugs for future orders. Be sure to stop by the Book Trader to see the whole remodel, it is bright and open and beautiful. 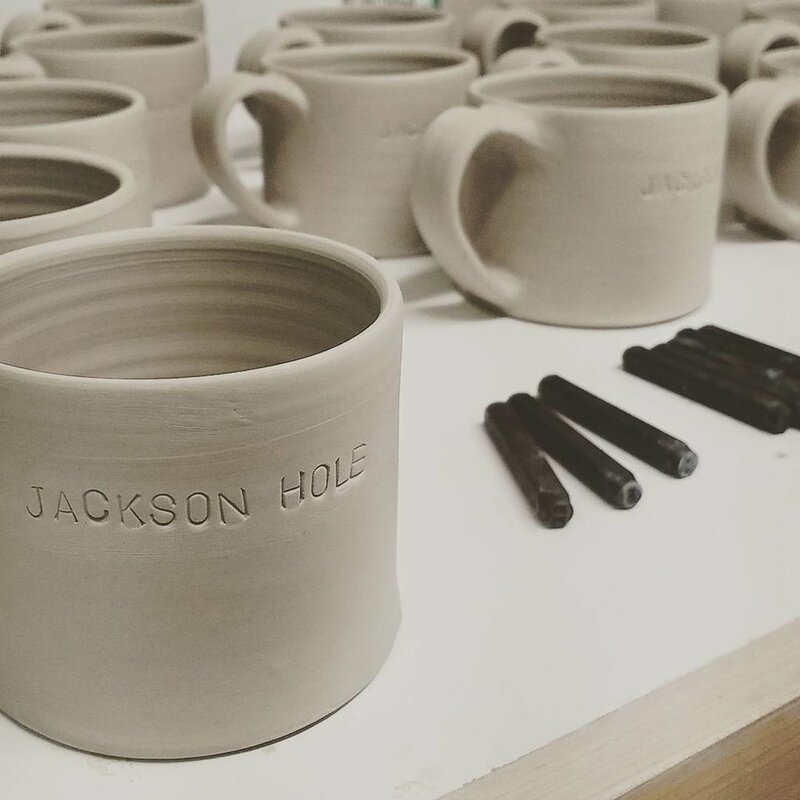 My favorite is the fireplace and comfy chairs, and now you can take home a handmade mug as a reminder of this beautiful bookstore!